She heard the sound of the black helicopters approaching the day Mabby died. Since then, Valley and her big brother Bo have been hiding and waiting for their Da to come home. Staying out of sight because you never know when Those People will show up again. Valley wants to help. Da sends messages to Those People, ones they will not forget. Ticking packages that make Them listen. But Da is gone now, and it is only Valley and Bo. Bo is forgetting. Only Valley remembers what Da said. Only Valley sees the bigger game. She will make Those People listen to her message. With one flick of her finger, they will feel her pain, her terror and never forget. Indoctrinated from her youth, all Valley knows of the world is that it’s not safe. Life is carefully controlled by an elusive group who will shoot down anyone who tries to live outside their ways. The black helicopters will come. She marches along a dark path, fraught with poverty and abuse, determined to continue in her father’s footsteps. To destroy the world her enemies have created and make her voice and her story heard. Woolston creates a haunting tale of misery and paints the humanizing but tragic story of a girl whose life prepares her for only one fate: to become a suicide bomber. Readers who enjoyed Impulse by Ellen Hopkins or Thirteen Reasons Why by Jay Asher will enjoy this novel. A small handful of heavy curses. Valley is abused by a man who is supposed to care for her and her brother. One scene briefly but graphically describes the abuse. This is the story of a suicide bomber, so it’s heavy material. However, there is little violence described. Valley threatens a boy and his dog. Her mother dies standing outside in a garden, but there is no gore. Valley’s brother Bo drinks beer. Valley sips mead and elderberry wine. I finished reading Black Helicopters as news of the attack in Boston began to break. Suddenly I felt like Valley stepped off the pages of the story and into our lives. As headlines poured in, like most of America, I felt angry. Such senseless violence. What’s the gain here? What is an event like this supposed to accomplish? The truth: Valley’s story awakened in me a grudging sense of compassion. Talk about a kid who never had a chance at normal. She was her own first casualty. Yet this isn’t the word I think of when I see the images of the men who stowed bombs that injured and killed innocent people. And yet the choices made that led to the April 15 attack by the Tsarnaev brothers are tragic. Innocents lost their lives. Survivors were forever changed. But before April 15, 2013, hatred devoured two brothers. Please understand: I believe what happened was inexcusable and wrong. But the tragedy began long before those bombs exploded, and for Ms. Woolston, Valley’s story began in the wake of another tragedy: September 11, 2001. On April 17, 2013 she posted a blog detailing her response to the Boston bombing and the release of Black Helicopters. Like her novel, it’s brief but powerful. Leave a comment on this post for a chance to win a FREE copy of Black Helicopters by Blythe Woolston. (Winner must have US address for shipping.) Contest ends Monday May 13, 2013 11:59 pm Eastern Time. Tagged Black Helicopters, Blythe Woolston, bombs, Conspiracy, Giveaway, Murder, Suicide, Terrorism. Bookmark the permalink. Congrats! You’ve been nominated for The Very Inspiring Blogger Award! We all ask ourselves “how could someone do such a thing?” after events like 9/11 and the Boston bombings. I agree that it takes a brave author to answer the question with a book like this. It is much easier to dehumanize terrorists than to imagine that they too may have stories to tell. Nothing can justify violence against the innocent. But it may prove worthwhile to know how ordinary people could choose to become weapons against their fellow human beings. Perhaps we may even be moved to grieve for the people they could have been as we grieve the tragic aftermath of their choices. Difficult stories are often the ones that challenge us to think more deeply. As always, an authentic review. Tough subject. Unfortunately, today suicide bombers are as much heard about as serial killers. How sad is that? And on top of it today we get a look at the blogger’s heart. Thank you for opening up like that. The author of Black Helicopters is brave for diving into such a topic, and I respect her even more after reading her blog post about April 15, 2013. On some plane we all converge when it comes to tragedies like 9/11 and the Boston Marathon tragedy. 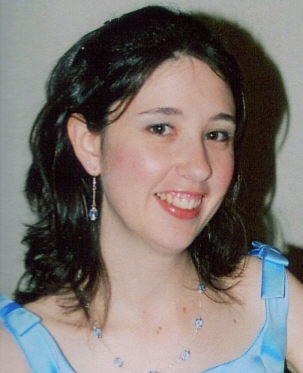 Congrats, Colleen! 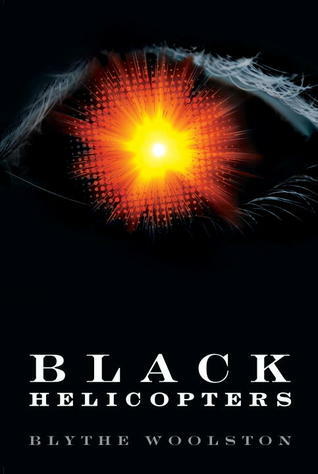 You are the winner of the hardcover copy of BLACK HELICOPTERS by Blythe Woolston. Yay!